When would you like to stay at Sultan House Hotel - Check Availability & Room Rates!!! Sultan House is a family-friendly hotel which is converted from Ottoman House and close to most prominent sites as Hippodrome, Blue Mosque, Topkapi palace, Grand Bazaar. Located on one of the oldest and most colourful area of Istanbul. 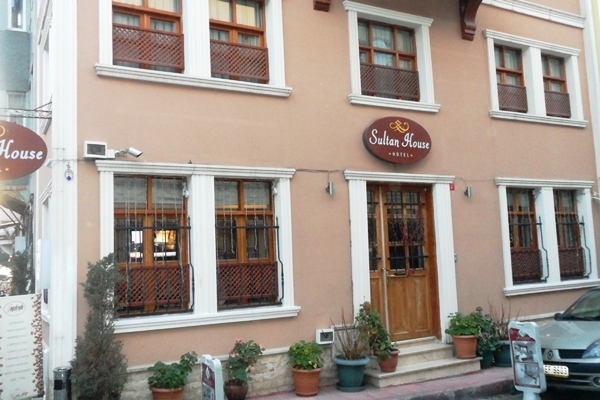 Sultan House Hotel offers warm hospitality and serves with 10 air-conditioned rooms include hair dryers, minibars, complimentary wi-fi, Tv with satallite channels, daily housekeeping, clean and fresh rooms equipped with modern amenities.You are just a few step away from the history and beauty. How far and How long will it take from/to the Sultan House Hotel Istanbul from/to International Airports and cruise Ports.